ProKids volunteers and staff work every day to break the vicious cycle of child abuse and neglect. This advocacy leads to some powerful outcomes, despite the overwhelming odds. How Many Children Are Abused and Neglected? 3,358,347 children were involved in investigations of abuse and neglect in 2015 in the U.S. That’s about 45 children out of every 1,000 children. Source. 1,670 children were killed in their homes by family members in 2015. Source. The US child maltreatment death rate is triple that of Canada’s and 11 times that of Italy’s. Source. Nationally, 427,910 children were in foster care in 2015. Source. Note that our links to sources are accurate at the time we post them. If you encounter a link that does not work, or have questions about the statistics we use, please contact ProKids. How Many Children Need Protection? 880,000 children are abused or neglected each year in the U.S. That’s one child every 36 seconds. It’s more than the combined populations of Cincinnati and Cleveland. Source. Over 20,000 children have been killed in their homes by family members over the last 10 years. That is nearly 4 times the number of U.S. soldiers killed in Iraq and Afghanistan. The U.S. child maltreatment death rate is triple that of Canada’s and 11 times that of Italy’s. Source. 1,460 children die from abuse and neglect every year: one child every 6 hours. Source. Nationally, 1 in 184 children are in foster care. Source. In 2016, one in 11 children – more than 16,000 – was involved with Hamilton County Children’s Services. That number could nearly fill the U.S. Bank Arena. Source. Of that number, 3,514 children were so severely abused and neglected that they were placed in the Hamilton County’s child protection system, often into foster care. 15% increase between 2015 and 2016. In Hamilton County, temporary placement of children can cost anywhere from $18,000 a year for basic foster care to more than $210,000 a year in a residential treatment center. Source. In March 2017, Hamilton County screened the highest number of abuse and neglect cases in a decade. Source. In 2016, ProKids served about 21% of the children in the child protection system. What Happens When Children Are in Foster Care? More than half of Ohio’s children in foster care will have to change homes during their case. Source. 50% of siblings are not placed together. If children are placed with siblings they are more likely to have a permanent home sooner. Source. 60% of Ohio’s foster children under the age of 5 spend at least one birthday in foster care. Source. 11% of Ohio’s children who were placed in a permanent home return to foster care within a year. Source. Post Traumatic Stress Disorder afflicts 20% of returning Iraqi war veterans, 11% of Afghanistan veterans and 10% of Desert Storm veterans. Source. 18% of foster children are diagnosed with PTSD despite having experienced neither physical or sexual abuse. This is the impact of being exposed to domestic violence or community violence. Source. Our children are impacted by Adverse Childhood Experiences or ACEs and we are learning more all the time about the long-term impact. Research has shown that 14% of Ohio’s children suffer from 3 or more of these experiences. Many of them are foster children. Learn more here. We’ve also learned that a toxic stress response can occur when a child experiences strong, frequent or prolonged adversity. This can disrupt the development of brain architecture and other organ systems and can increase the risk of stress-related disease and cognitive impairment into adulthood. Source. How Does Poverty Impact Our Children? 50% of Cincinnati children live in families where the income is less than 200% of the federal poverty level ($48,500 for a family of four at the time of the study). Source. Six out of every 20 children live in families at less than 100% of the federal poverty level ($24,300 for a family of four). In 2013, Cincinnati ranked 5th for highest child poverty out of 71 major U.S. cities. The rate of 46.3% of children living in poverty is higher than the national poverty rate of 19.9%. Source. Research has shown that children raised in poverty are 46 times more likely to be placed in foster care. Source. Countless studies demonstrate that poverty is especially harmful to children in the early years of their lives. They are more likely to suffer from chronic health conditions. They are more likely to repeat a grade, to be expelled or suspended, and are eventually more likely to drop out of school. Source. What About the Impact of Domestic Violence? Exposure to domestic violence in childhood can significantly alter children’s DNA, aging them 7-10 years. Source. In 2011, nearly 60 percent of children (ages 17 and younger) were exposed to violence within the past year, either directly (as victims) or indirectly (as witnesses). Source. Children exposed to domestic violence by the age of 5 have IQs about 8 points lower than unexposed children. To put this in perspective, consider that chronic lead exposure decreases a child’s IQ by only 3-4 points. Source. Children who’ve experienced domestic violence are 50 times more likely to abuse drugs and alcohol. Source. Children raised in violent homes are 74 times more likely to commit other crimes against other persons than children who were not. Source. Children, exposed to domestic violence before the age of 5, experience PTSD (Post Traumatic Stress Disorder) at a higher rate than Iraqi War and Vietnam War veterans combined. Source. What About the Impact of Heroin Addiction? 50% of Ohio children taken into custody in 2015 had parental drug use. Source. 57% of those children had parents who used opiates, including heroin. Source. 70% of those children who were under the age of 1 had parents who used opiates, including heroin. Source. What About the Impact on Education? The average child in foster care moves two times a year, which often results in a school change. Children are estimated to lose 4 to 6 months of academic progress per move, which puts most foster care children years behind their peers. Source. Foster children are 2 times more likely to be absent from school than other students. Source. 34% of 17-18 year olds in foster care have experienced 5 or more school changes. Source. If habitual attendance is not established by third grade, the child is not likely to be reading by third grade. If a child is not reading by third grade, when school switches from learning-to-read to reading-to-learn, they are significantly less likely to graduate. Children who fail to read proficiently by the end of third grade are more likely to drop out of high school, reducing their earning potential and chances for long-term success. Source. 17- and 18-year-old foster youth are 2 times more likely to have an out-of-school suspension than other students. Source. 17- and 18-year-old foster youth are 3 times more likely to be expelled than other students. Source. Researchers have found that youth in foster care graduate at relatively low rates and are less likely to complete high school than their non-foster care peers. Source. Only 50% graduate from high school by age 18. Only 20% of those who complete high school will go to college. Infants and young children are the fastest growing and largest population of children in the foster care system. The trauma of abuse and neglect and the chronic instability of the foster care system is disastrous to a baby’s healthy development and future wellbeing. 25% of all new admissions in foster care are infants under the age of 1. Source. 39% of abused foster care children under the age of 1 suffered abuse within the first month of their life. Source. 88% of children who suffered abuse within the first month suffered abuse in their first week of life. Source. 1/3 of the infants discharged from the child welfare system re-enter care. Source. 50% of young foster children exhibit developmental delays, which is 4- to 5-times higher than the general population. Source. What Happens When Foster Children Reach 18 or ‘Age Out’ ? About 110 youth age out of the Hamilton County Job & Family Services foster care system each year. Source. The total costs associated with social support services unrelated to foster care and/or child welfare (e.g., emergency response, non-profit support services for persons experiencing homelessness, healthcare services, criminal justice services) combined with net economic productivity “lost” was approximately $141 million from 2008 to 2015. Source. 25% of former foster care youth are homeless within 2-4 years of aging out. Source. 47% will experience chronic unemployment. Source. 71% of aging out foster care females will become pregnant by age 21. Source. 57% of aging out foster care females will be arrested by age 21. Source. 31% of aging out foster care males will be arrested by age 21. Source. Compared to the number of African-American children in the general population, twice as many African-American children are in foster care. Source. LGBTQ youth are also over-represented in foster care and many report entering care after experiencing family rejection because of their gender identity, gender expression or sexual orientation. Source. 65% of homeless LGBTQ youth reported having been in a child welfare placement at some point in the past. Source. What is the Connection Between Foster Care and Crime? Children who have experienced abuse are 9 times more likely to become involved in criminal activities. Source. Today, Ohio incarcerates roughly 50,440 people at an average cost of $67.84 per inmate per day. Source. What is the Financial Impact on Our Nation? $220 million– daily cost of child abuse and neglect. Source for this entire section. Direct Cost- $33,333,619,510 in 2012: including hospitalization of injured children and the mental health costs of treating victims of physical, emotional, and sexual abuse and emotional and physical neglect. 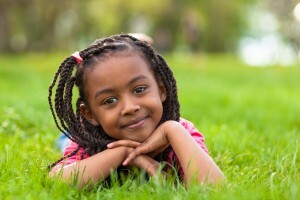 In addition, there are costs of operating a child welfare system that is responsible for receiving reports of suspected abuse and neglect, screening and investigating reports, providing in-home services to families substantiated for abuse and neglect, and providing out-of-home care for children removed from abuse or neglectful homes. Lastly, direct costs include the cost of law enforcement. Police will sometimes participate in child maltreatment investigations and arrest perpetrators who not only maltreat their children but violate state criminal law. Prosecutors work for both the child welfare system and the criminal system and child maltreatment cases are heard in family and juvenile court as well as criminal court. Indirect Cost- $46,926,791,578 in 2012: including costs associated with the consequences or impact of maltreatment of children. As a result of being victims of abuse and neglect, many children require special education services as well as early intervention services to manage developmental delays. Maltreated children are more likely to engage in juvenile delinquency and adult criminal behavior. As a result, child maltreatment leads to additional housing, juvenile justice and adult criminal justice expenditures.